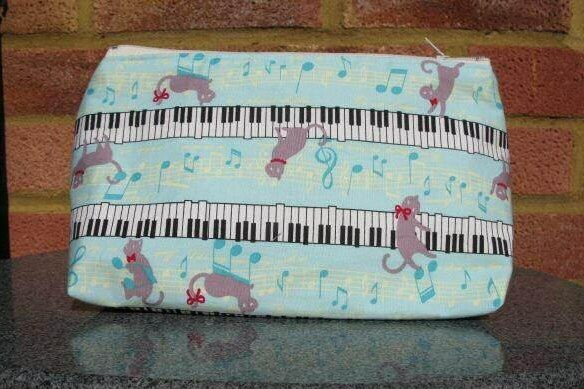 Cosmetics purse/make up bag in musical themed fabric featuring cats and keyboards ! 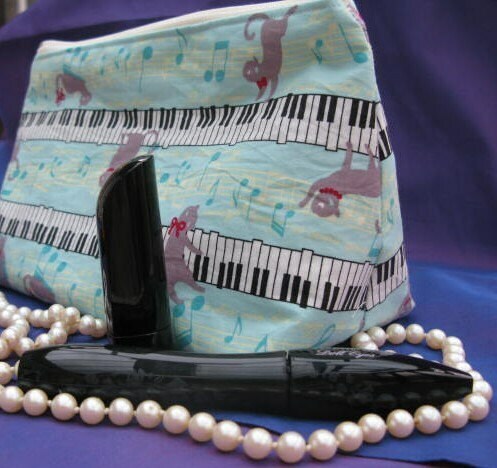 Teal fabric with treble clefs and music notes dotted in the background. 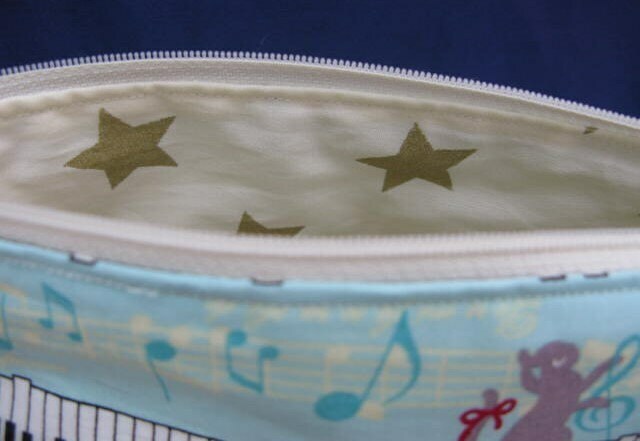 Made from cotton with a lining fabric of gold stars. Fabric is lined with interfacing to give strength and durability. Mitered flat base so that bag will stand freely with or without contents. 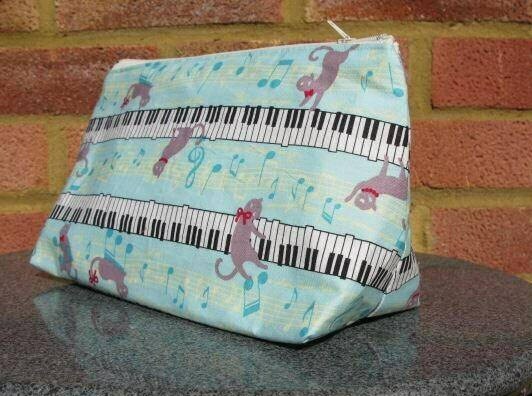 Each bag measures approx 10 inches x 5.5 inches or 25 cms x 15 cms with a zip fastening. Ideal for cosmetics, money, pens and pencils etc etc. Perfect gift for yourself or your music loving friends ! Gift wrapping available - free of charge ! Just add a note to your order to request gift wrap. NB. Cosmetics and jewellery not included!